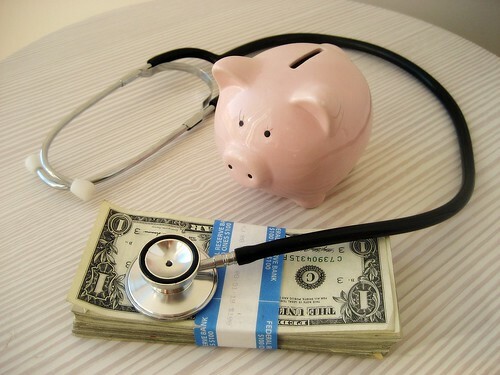 The IRS announced contribution limits for Health Savings Account (HSA) for 2014. The IRS also defines what qualifies as an HDHP. For 2014, an HDHP with individual coverage must have at least $1,250 in annual deductible and no more than $6,350 in annual out-of-pocket expenses. For family coverage, the numbers are minimum $2,500 in annual deductible and $12,700 in annual out-of-pocket expenses. If you have a lot of money in your HSA and you’d like to invest the money, HSA Bank + TD Ameritrade is a good choice. Do you have a number in mind that you would consider large? Basically an amount where it’s worth it to invest given the fees involved. I should add for ongoing contributions I’m using the provider chosen by my employer. It saves a bit of payroll tax that way. Then once a year I transfer the money out to my own account. See previous post How To Rollover an HSA On Your Own and Avoid Trustee Transfer Fee. bn – I read the HSA Bank fee schedule as saying the monthly fees are waived if you leave $5k on the bank side and invest the rest. The interest rate on that $5k is 0.30% at HSA Bank vs 1.05% at Alliant. That means the invested money had better make up the 0.75% difference on $5k. I’d say you need at least another $5k, for a total of $10k. Can one make a contribution to one’s HSA the year one turns 65 and switches from the high deductible to a medicare advantage plan (latter half of the year)?? Margaret – Yes, but the amount has to be prorated depending on how many months you are covered under the high deductible plan. Hi Harry, I’m interested in your take on the MadFientist’s HSA strategy (http://www.madfientist.com/hsa). I think it might be a good play if you can swing it cash flow wise and have a fireproof box for all those qualified expense receipts. 🙂 I appreciate your blog. That works although I don’t use it. My eligible expenses are low. I just pay them out the account and not worry about accumulating receipts for many years.